Who are the Classical liberals in India and where are they hiding? b) When independence came, most of these "big name" people were very old and started dying or were shot dead (e.g. Patel/ Gandhi/ Ambedkar/ Aurobindo). Tagore had died even before (1941). The only really big name left was Nehru. So we got Nehru's vision of government imposed on us. That's it. We are therefore a largely uneducated (or ill-educated) socialist nation. And Nehru wanted the best Indians to study engineering so he set up IITs. So our best people largely study engineering even today. There is a very serious and chronic deficit of economics and political philosophy education in India. Even whatever little of that we have is highly contaminated (people keep trying to "invent" "new systems" that combine everybody's ideas, or develop on the very faint and sketchy theories provided by Golwalkar and Savarkar. Integral Humanism is an example of a theory that combines everything under the sun and comes up with total confusion. Till today, I can guarantee that you won't even find Hayek's books in most Indian university libraries, or even Friedman's, leave alone the vast literature that is available on classical liberalism in the West. Even Arthashastra is not known/ understood. Only recently has Balbir Sihag (sitting in USA) started studying it. And we find it is gem of a book. But how many Indians know about it? So, Aaryan, we have a major challenge: to take India out of the clutches of socialist thinking we have to educate India. Else whoever comes up through the "masses" will be GUARANTEED to be socialist (e.g. Anna Hazare/ Arvind Kejriwal). Why do you think I've gotten so little traction in India for nearly 15 years! Because there were only a handful of classical liberals in India. Now there are over 150 (FTI). That's a huge breakthrough. It will deliver results in the coming years. This also shows that a lot depends on luck. Had Tagore/Aurobindo/Patel/Gandhi/Ambedkar lived longer we'd NEVER have been a socialist nation. 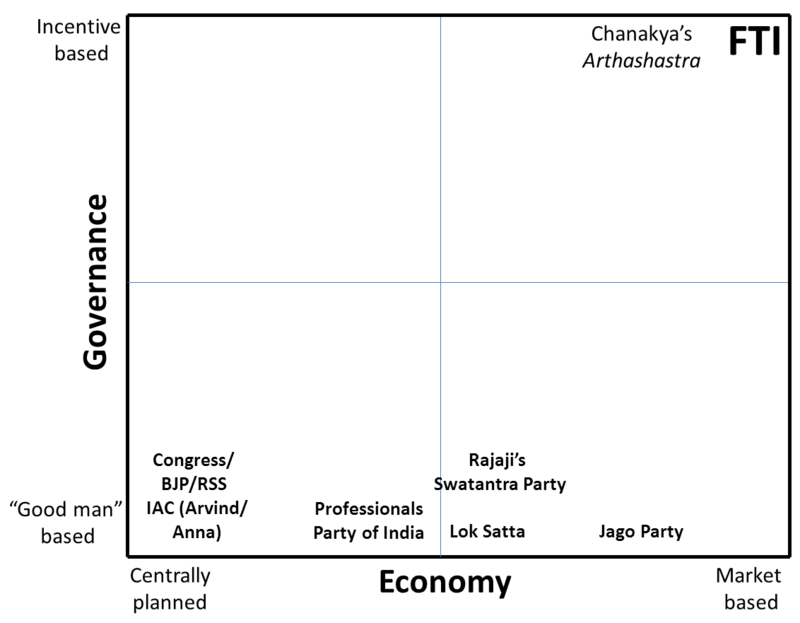 And, of course, had Chanakya been around, Nehru's foolish ideas would have been TOTALLY and COMPREHENSIVELY crushed. Our job is to stamp out the utterly harmful Fabian socialist ideas that Nehru carried from his short sojourn in UK. He was unfortunately to be influenced by Laski. That little bad luck has set back India by 65 years.